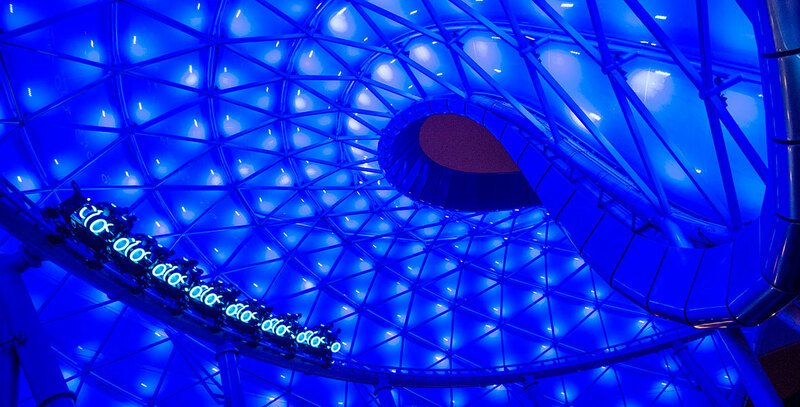 TRON Lightcycle Power Run Tomorrowland attraction at Shanghai Disneyland; opened June 16, 2016. Guests ride atop two-wheeled Lightcycles into a mysterious computer game world inspired by Tron: Legacy. Nearly 10 years in development, the ride system is one of the most advanced ever designed. The attraction is one of the fastest indoor roller coasters in a Disney theme park and also offers a unique view of Shanghai Disneyland.